In the fall of 2014 I went through a depression. At the darkest silence, heavy and feeling so alone, I sat at the piano. It was in that moment this song came through me. Having faced some other dark times, and also being somebody who meditates, I knew that in this space, I could also make choices about who I wanted to be as I healed. I decided I wouldn’t fake anything and be open to what brought me any sense of joy. I knew one thing and that was I needed be able to make music. Everything else was empty. The first thing that brought me a sense of any smile was my daughter running towards me when I was picking her up at school 3 days later. While I knew as a mother, my children were my my purpose, it was also important to absolutely trust my spirit to guide me through this difficult time. That’s the moment I decided that if a choice or opportunity wasn’t about those two things - music, my children and therefore my family - it wasn’t worth my energy or my worry. I lived that way for over a year and rebuilt my strength and spirit from that moment. Now whenever things get heavy or hard, I remember to slow down and listen to my internal guidance system, my spirit, and ask myself; is this about my family or music? and if not, then I let it go. Every step in our lives, every struggle, is an opportunity to love ourselves a little more and listen to what it is that might truly bring us enough joy to Go On. 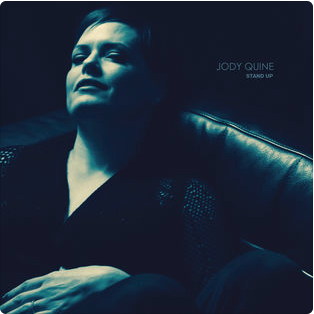 Join Jody's mailing list to receive free digital downloads and other exclusives! http://eepurl.com/bYK9Yf http://www.jodyquine.com http://www.facebook.com/jodyquines http://www.twitter.com/jodyquine http://www.youtube.com/jquine LYRICS Go On My heart is aching I feel so alone All my dreams are breaking I don’t know how to go on Go on and on go on on. It’s a new day rising, leaving me laying behind I can’t seem to find my wings I don’t know how to fly to go on and on go on on And my mother said this too shall pass this will pass And light will shine again into your days and then your nights These things can just take time so trust yourself and you will find your light you’ll shine. You must go on. And a new day rises I can almost hear her say you’ve just got to get on up you can face the day and go on and on go on on. And my mother said this too shall pass this will pass And light will shine again into your days and then your nights These things can just take time so trust yourself and you will find your light you’ll shine. You must go on Go on and on You must go on I will go on.